What makes a pregnancy high risk? Your pregnancy is considered high risk if you or your baby has an increased chance of a health problem. There are a number of things that put you at high risk. It sounds scary, but it's just a way for doctors to make sure you get special attention during your pregnancy. Certain conditions can put you at risk for preterm labor, preeclampsia, slowed growth for the baby and problems with the placenta. In general, if you have the following your pregnancy may be high-risk. Certain tests can be done, especially if you're thirty-five or older, or have a history of genetic problems in past pregnancies. Your doctor will prescribe any necessary medications and put you on a treatment plan to keep mom and baby health and ensure a healthy delivery of your new baby. 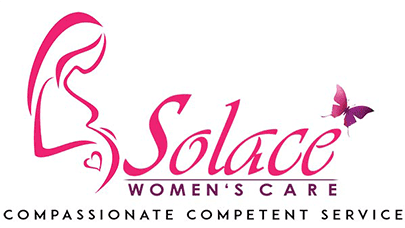 Solace Women's Care can help you through every stage and into parenthood. There are things you can do to help have a healthy pregnancy. First, don't miss doctor appointments. Prenatal care is the most effective way to make sure mom and baby are healthy. Eat a healthy diet and talk to your doctor about what dietary needs or changes you may need to accommodate. Take all prescribed medications as directed. Take folic acid daily to reduce the chances of birth defects. Don't smoke or drink. A high-risk pregnancy may require more doctor's appointments and more monitoring, but Solace Women's Care can help you throughout your pregnancy and into parenthood. Contact our office today to schedule an appointment.